In Paris I bought this book, I had already seen in on internet and knew I had to have it. My girls love dressing up and I love making them clothes and in this book are some really nice patterns to make pretty dresses and other fairytale clothes. The sizes go from 2-10 years and there are some really stylish boys costumes too. 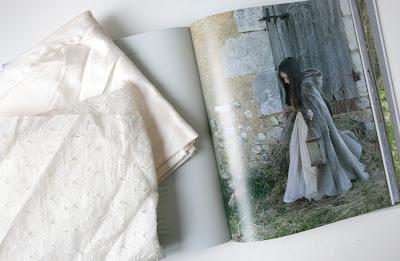 The girls love the dress and cape from "Peau d'Ane" (.....translated in donkey skin, I'm still trying to find the dutch/english name for this fairytale). 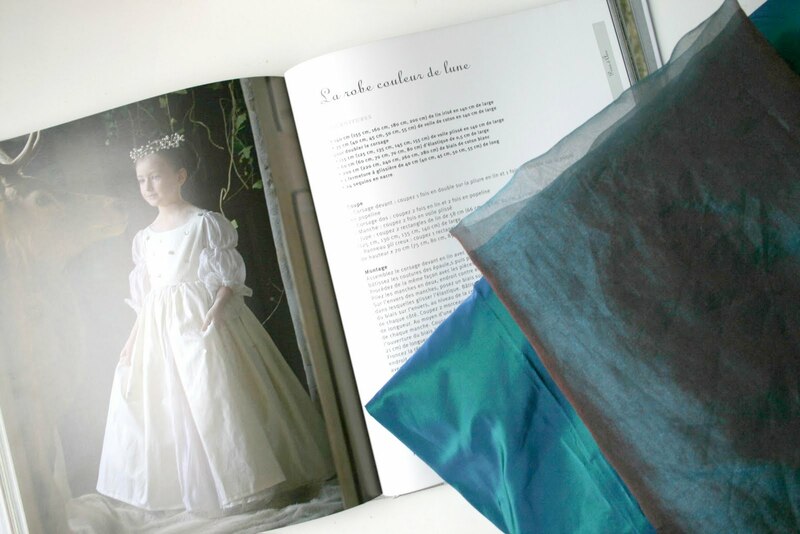 Lucky for my girls I have worked at a curtain-store and bought lots of pretty coupons in those days and ended up with a huge pile with pure silk, lovely tafts and shiny organza's, they just had to choose their favourite colour combo. Friday I will have a sewing date with Hetty and we will make princess dresses for our daughters, I really look forward to that! That looks beautiful!What is the name of the book? Youve given me a huge jolt of inspiration to make these for my grand-daughters! Lovely idea. Have nice sewing date day. Het sprookje heet Ezelsvel en is geschreven door Charles Perrault. Eigenlijk meer een sprookje voor volwassenen.